Our mother earth is no longer as healthy as before. Her ozone layer has been somewhat depleted, therefore allowing more of the sun's harmful UV rays to pass through the atmosphere. It's enough to say that the sun's harmful UV rays increases our risk of skin cancer and speeds up aging process to convince us to take some measures for sun protection. However, it is inevitable to avoid the sun completely. We still need to go out and move on with our lives. If you love the sun, don't fret. You could still go out. You just need to learn how to protect yourself from the harmful rays. Copyright © 2014 by Lyra Kua. All rights reserved. DO NOT COPY ANY PART OF THIS PAGE WITHOUT PERMISSION. The most basic sun protection measure is applying sunscreen. Always remember to slather your face, neck, ears and arms 20-30 minutes before going out. Reapply every two hours under exposure. Do not think that just because you're indoors you are safe from the sun. Remember, UV A penetrates through glass. If you work in a place with many windows, you might as well put on some sunscreen. Religiously applying and reapplying sunscreen is the key for maximum protection. So you think umbrellas are for rainy seasons only? Think again. It comes handy be it a rain or a shine. Of course, you cannot use transparent umbrellas! Those are for rainy seasons only. Opt for umbrellas that have UV protection. Keep in mind though, that UV rays could still reach you. They can bounce off on surfaces such as snow, cement, or water and back to your skin. So it's still best to have some other sun protective measures on your skin (that is, sunscreen and clothing). People love wearing lightweight clothes during summer. 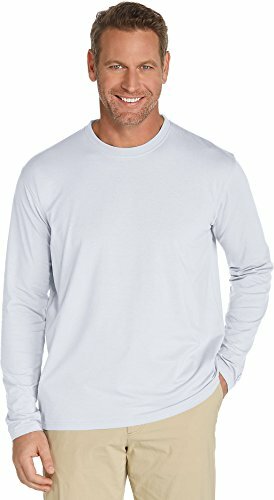 These clothes keep them feeling fresh outdoors. In contrast, heavier clothes provide better sun protection. Those with darker colors are a plus. Choose clothes with tightly woven fabric. And oh, don't forget the wide-brimmed hats to protect your head! Here's a tip: Look at the fabric of your clothes and hold them against the light. If light passes through, so do the UV rays. Some manufacturers of apparels indicate the UPF of the fabric. UPF stands for Ultraviolet Protection Factor. It is a rating of how much UV rays could penetrate the fabric. According to the Skin Cancer Organization, only clothes with a UPF of 15-50+ may be labeled as having sun protection. In addition, like regular clothing, clothes with sun protection may lose its effectiveness if stretched, become wet, or washed and worn many times. In addition, the organization offers a seal of recommendation to fabrics of at least UPF 30, and UPF 50 as having the best sun protection. You could increase your fabrics sun protection by using Sun Guard in the laundry. Add it along with the detergent and you'll increase the UPF of your clothes, effective even after 20 washings (Skin Cancer Organization). 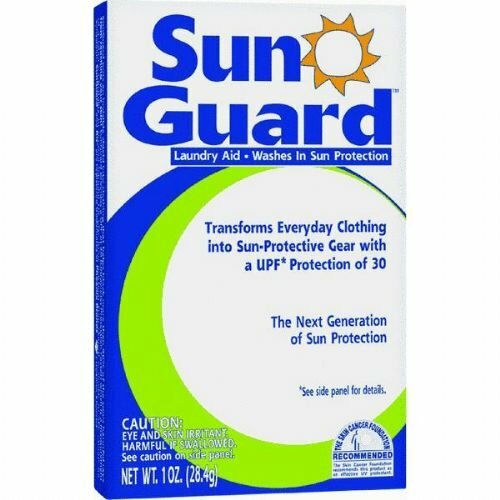 If you're on a tight budget, instead of buying expensive clothing with UPF, you could instead use SunGuard to boost your existing garments' UPF protection. The product is safe for sensitive skin and doesn't alter the clothing's color and comfort. UV radiation not only harms the skin, but the eyes as well. Protect your eyes by wearing sunglasses that have larger frames. This will provide maximum coverage around your eyes. Check if the eyewear has a UV protection label when buying a pair. For the lips, use a lip balm with an SPF. This is an indicator of UV radiation level. It has a range of 0-11 and is usually reported with the weather forecasts especially during summer. The index differs from place to place. In my country, the UV rating rises from 9-11 (which is from high to extreme ratings) at as early as 9am during the summer. UVI is important especially when you're planning for an outing. Of course, the higher the rating, the more sun protection measures needed. The rating is affected by how near you are in the equator, the altitude of the place, and by the cloudiness of the sky. Being near the equator allows less time for the atmosphere to absorb UV rays since this is the part of the globe nearest to the sun. Being on high altitudes has the same concept as well. 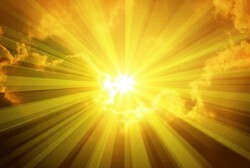 When you are higher above ground, the sun reaches you faster. Cloudiness blocks UV rays from us. But if the clouds are thin and broken, the sun's rays could penetrate easily. You could check your region's UV index at UV Awareness. The above guidelines are some of the measures for sun protection. There is no guarantee, however, that by following all these guidelines, you are 100% safe against the sun. It is still wise to stay indoors whenever possible during midday. By using the UV Index, you could wisely plan your activities outside as well as your protective measures.